However, it denied an exchange. The State Border Service of Ukraine has confirmed that seven members of the detained Nord crew were cleared to cross the administrative border into Russia-controlled Crimea. It insists there was no exchange between Ukraine and Russia because the crew members are citizens of Ukraine. "Reports that seven Ukrainian nationals detained by Russian border guards were exchanged for members of the Nord fishing boat crew are wrong. 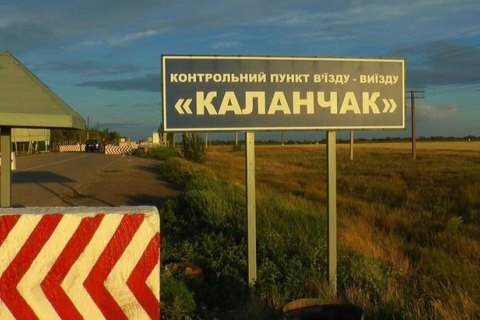 Let us inform you that today, on 30 October, members of the Nord crew whose Ukrainian citizenship was confirmed during court hearings arrived at the Kalanchak checkpoint," it said. For its part, Russia has released seven detained Ukrainian nationals. "All of them were detained on different occasions by the Russian FSB border service in the Sea of Azov and the Black Sea reportedly for poaching or getting close to the annexed peninsula. The occupiers are trying to present the case as an act of exchange," the State Border Service said. It did not explain why the Nord crew decided to go to Crimea today if they could do this several months ago. "It is natural that the occupiers have released the detained Ukrainians because they have nothing to be blamed for. Most likely, it was a planned combination by the aggressor state," it said. Ukrainian ombudsperson Lyudmyla Denisova confirmed the release of seven Ukrainian sailors. She said on Facebook that these were three crewmembers of the YAMK-0041 boat, Serhiy Kalynychenko, Oleh Blok and Ruslan Skrypnyk, and four crewmembers of the YAOD 21-05 boat, Oleksandr Lysenyuk, Hennadiy Onhurov, Oleh Ivashchenko and Vyacheslav Ivasenko. They had been held in custody in Crimea since May 2018. She also insists there was no exchange. The Nord crew can freely move around Ukraine and they were not in custody unlike the sailors in Crimea.